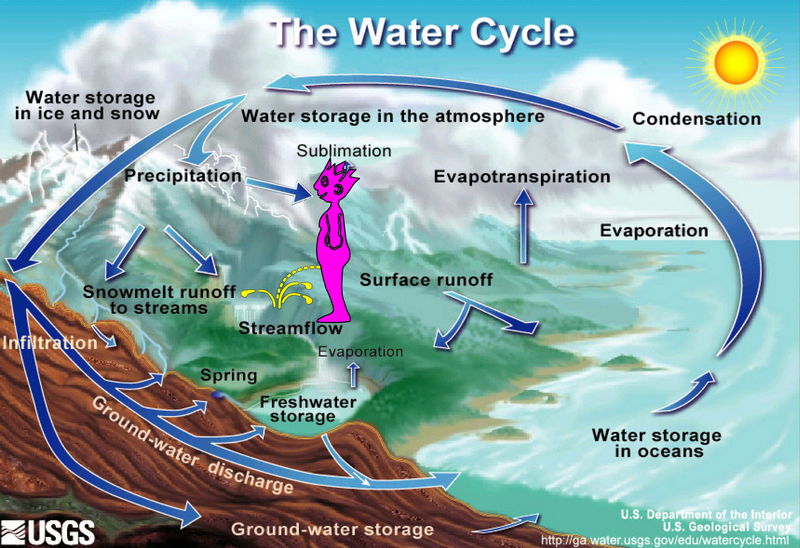 Science Minus Details: Why Pee is Cool - entry #6 - "Pee, Our Connection with the Earth's Metabolic Cycle"
One thing this image doesn't capture is plants and animals changing water into oxygen and back again. 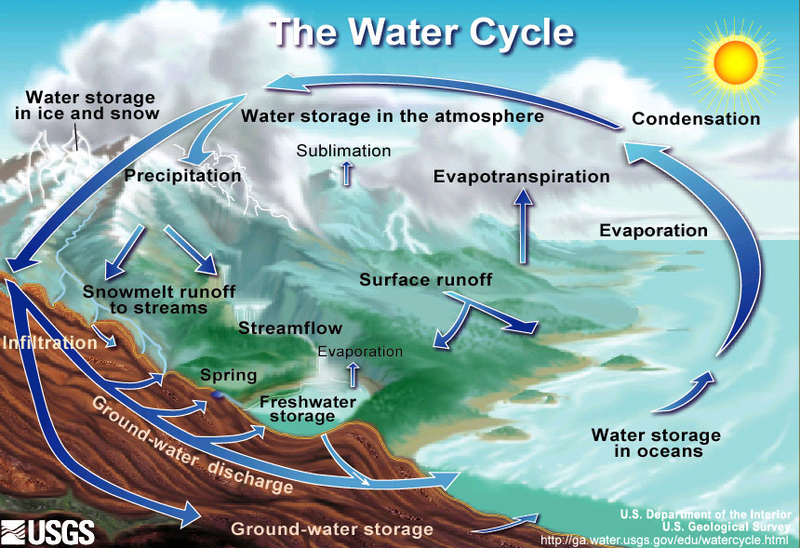 The water cycle is super-complicated, but basically involves water evaporating from the oceans, falling out of the atmosphere as rain, and letting gravity pull it back to the ocean through rivers and groundwater. I like to think of this as the continents' way of taking showers. So we know that water is in our pee, but what else is there? In PeePee Posts 2, 3, and 5 we talked about nitrogen being in our pee. 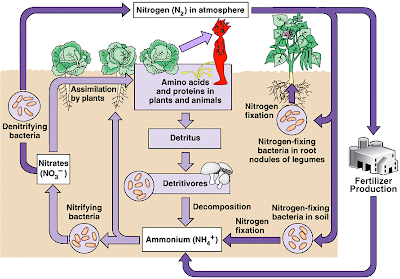 The nitrogen cycle is really cool! 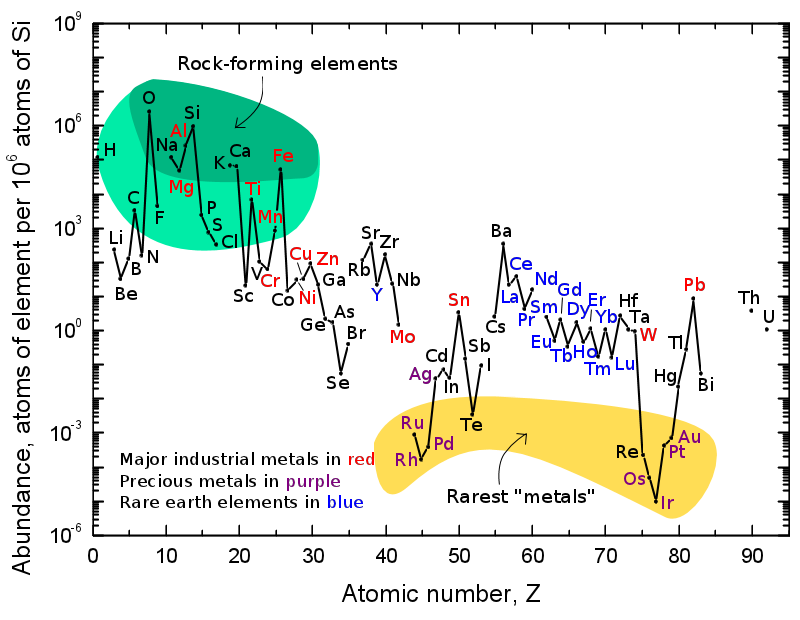 It starts with nitrogen atoms in the atmosphere in the form of N2. Plants need nitrogen atoms to survive, but they can't use the abundant N2 from the air. So, these awesome earth particles called nitrogen-fixing bacteria take electrons from chemicals like sugars, dump them into N2, throw in some protons and energy, and form the ammonium ion (NH4+). Other organisms then change the ammonium ion into the nitrate ion (NO3-). Now those things (NH4+ and NO3- ions), plants can use. They take either ion and incorporate them into proteins and other parts of their body. We then eat plants' bodies and pee their nitrogen back out as urea, which gets turned back into ammonium ions. Eventually the nitrogen goes back into the atmosphere, completing the cycle. 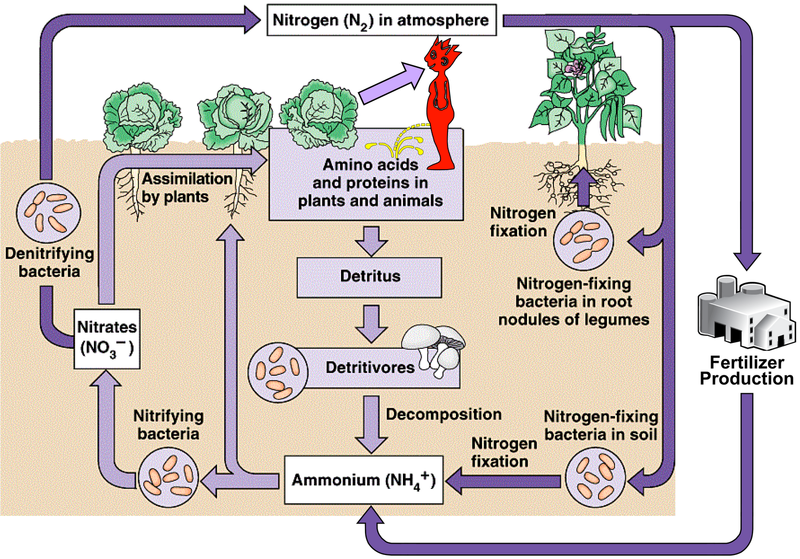 Here is the nitrogen cycle. Check us out!! Peeing!!! We're part of it! Notice the big factory on the right. In the early 1900s, we humans figured out how to turn N2 into NH4+, just like the nitrogen-fixing bacteria do! This was a STUPENDOUS discovery! Today this process accounts for 1-2% of all the worlds energy usage!! Its use on such a gigantic scale has altered the nitrogen cycle in ways that could take centuries to calm back down to a steady state. 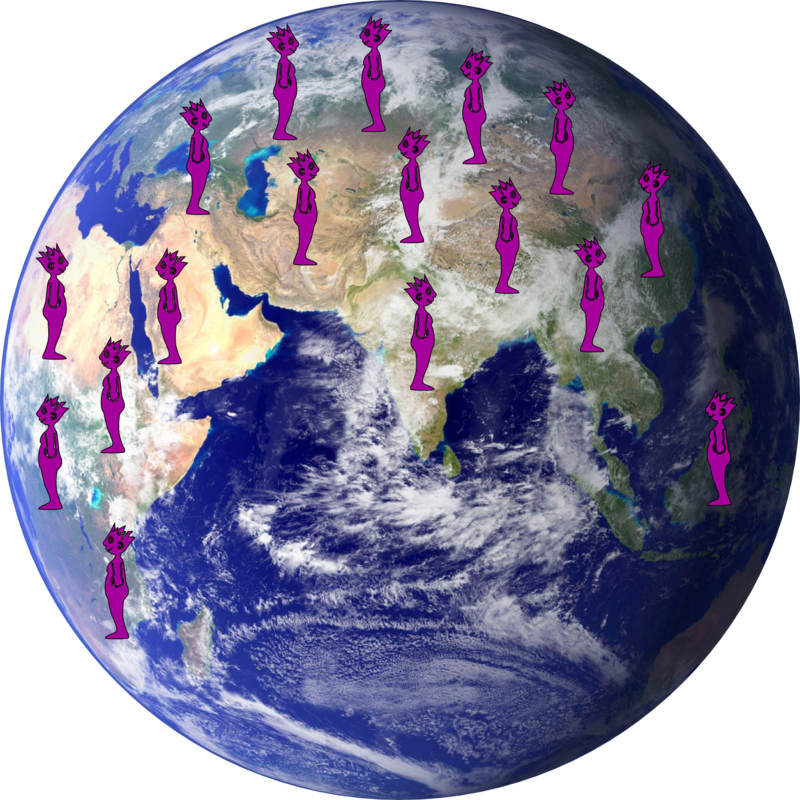 (awesome article here) What effects this will have on life on earth are not at all clear. Scary! Humans imitating plants in this fertilizer factory in Billingham, England. Photo courtesy addictive picasso. In PeePee Post 4 we learned that phosphorus is also in our pee. The phosphorus cycle is cool because it is MEGA MEGA slow. 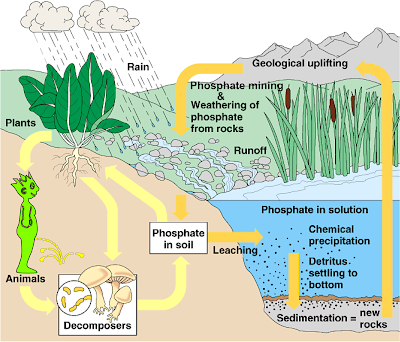 As opposed to the nitrogen and water cycles, which can move through the atmosphere, the phosphorus cycle moves through the earth!!!! There we are, participating in the cycle by eating plants and other animals, and peeing out their phosphorus atoms. Just as with the nitrogen cycle, we humans have discovered ways to drastically change the way this cycle works. We do this by mining huge phosphate deposits for use as fertilizer. There are enough phosphate deposits for us to keep doing this for a long time, but if we want to keep going like this eventually we are going to have to mine the bottoms of the ocean or wait for mountain formation to catch up. As with many of our experiments on what earth systems can handle, the long-term consequences of our actions are unclear, but the preliminary data is enough to freak me out. Anyway, check out this insanely huge phosphate mine in India. 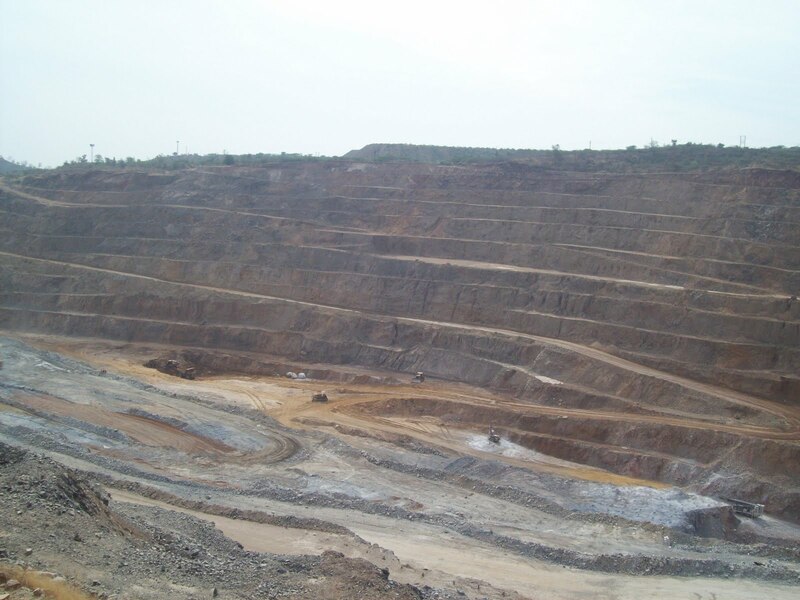 Phosphate mine in Jhamar Kotra, India. Apparently it is common in the mine to find fossils of the mega-ancient stromatolites that helped form this phosphate deposit. Photo via Geology Rocks! 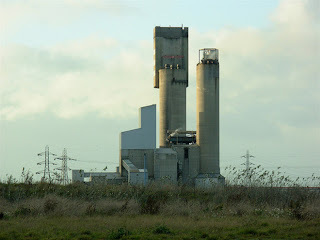 This mine is so big you can actually see it on google maps! It's not all doom and gloom though. 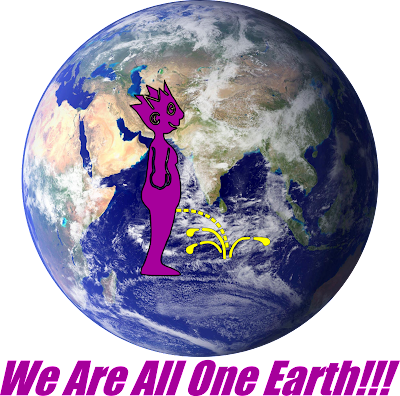 Even though I find it scary how significantly our industrial practices are affecting earth's biogeochemical cycles, I still think it is awesome that when we pee we are naturally participating in these cycles. We participate in all sorts of other biogeochemical cycles when we pee (potassium, sulfur, etc). All life on earth is connected via these cycles in one way or another. Give that some thought next time you're peeing. You are participating in the earth's metabolic system! PeePeePost #5: "How Pee Unites You With Rocks"